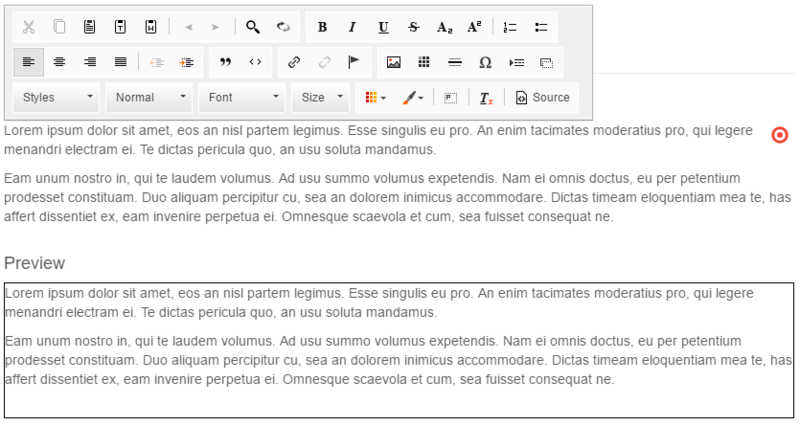 Similar to Textarea and Input you can use the WYSIWYG editable in the templates to provide rich-text editing. wysiwyg helper doesn't require any additional configuration options. The following code specifies tje height for the rendered WYSIWYG editable (has no effect in frontend). If you have a look at the editmode, you will see that our WYSIWYG is rendered with the full toolbar. The complete list of configuration options you can find in the CKEditor toolbar documentation. 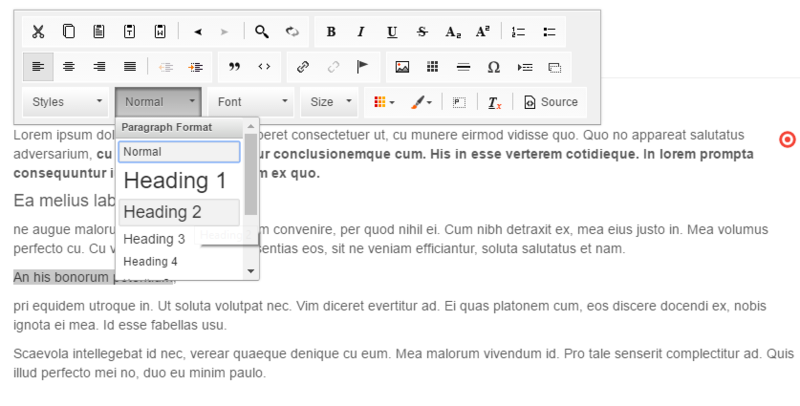 The WYSIWYG editable allows us to specify the toolbar. If you have to limit styling options (for example only basic styles like <b> tag and lists would be allowed), just use toolbarGroups option. Now the user can use only the limited toolbar. There is also an additional way to specify the configuration by adding customConfig. You can add a Global Configuration for all WYSIWYG Editors for all documents by setting pimcore.document.tags.wysiwyg.defaultEditorConfig. For this purpose, you can create a Pimcore Bundle and add the configuration in a file in the Resources/public directory of your bundle (e.g. Resources/public/js/editmode.js).